1. If a control chart is not in control, which of the following inferences is correct? 2. The quality manager inspects 100 mobiles every day. He checks whether the mobiles are working or not. He would like to control chart this data. What is the most appropriate control chart to use in this case? 3. Green Belt wants to control chart delivery time of pizzas. Green Belt inspects delivery time of 5 random selected pizzas every evening from 6pm ‐ 9pm. Consider the data to be normally distributed, what control chart should be used? 4. Which of the following test for special causes is not used for ‘p’ chart? 7. Process Owner is monitoring number of errors in a transaction. Process Owner inspects 5% of the total transactions in a day. The number of transactions varies every day. 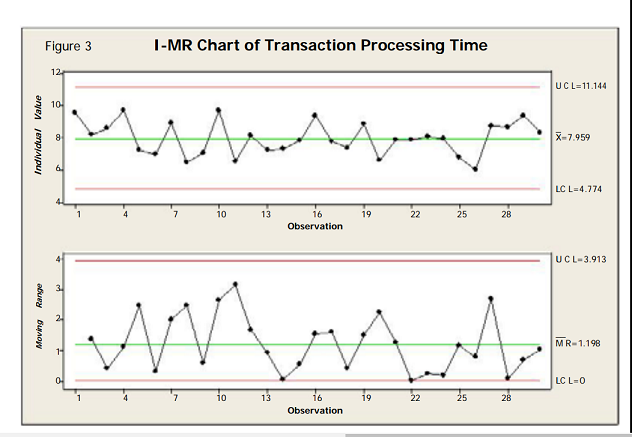 What type of control chart should be used? 10. The chest measurement of 20 shirts is inspected per day. What is the most appropriate control chart to detect the presence of special cause?